While recruitment is falling, the capabilities needed to land an IT job are stiffening, notes Subir Roy. The Indian software industry is again at an inflection point; and, going by its history, it will successfully evolve. It is grappling with dramatic changes in response to the latest challenges posed by clients going "digital", of which cloud computing is a part. The global economic slowdown has added a sharper edge to the changes being dictated by technology. Global information technology (IT) spending is projected by Gartner to fall by 4.3 per cent in current 2015 to $914 billion. While this is attributed to the economic slowdown and is expected to recover over the next few years, what is important for Indian IT is the sharper cut taking place in offshoring, the part of the spending that goes significantly to Indian companies. According to KPMG, the value of outsourcing deals struck last year (2014) was down 17 per cent over the previous year, to $120 billion. A report in the Wall Street Journal has spoken of an "existential threat to the players who fail to adapt" and one professional quoted in it foresees a "bloodbath". The Indian software industry is not new to challenges that could turn terminal. The first came when the Y2K work (rewriting the software codes of large computers to enable them to handle the new millennium), which enabled Indian companies to gain an entry into the hallowed precincts of large Western firms, finished. No sooner had this challenge been conquered than came the bursting of the dotcom and telecom bubbles, which had been preceded by large technology spending and created opportunities for Indian firms to write lots of new code. Thereafter came 9/11, which dealt an immediate sharp blow to global business. And after a period of rapid growth came the financial crisis of 2008 and its impact on global IT spending, which is still lingering. Through these crises, the entrepreneur-driven Indian software industry has evolved, rising slowly from simply writing code to undertaking systems integration and busying itself with the management of clients' IT infrastructure, first onsite and then remotely. Alongside has grown the use of automated tools, delivering increasingly sophisticated product and engineering software design services and securing higher levels of domain knowledge through the acquisition of niche players. The latest challenge is posed by the move to cloud computing - that is, using servers hosted elsewhere. This has reduced or removed the need for firms to go in for enterprise-wide IT systems which are licenced and specifically designed for individual clients. The bread and butter of Indian software companies has been looking after the development and maintenance of these large systems on a time and material basis, by using the cheaper services of Indian engineers both at the client's site and offshore. Now, if neither the servers nor the software are owned by the firms which access both through the internet, then sunset looms for the traditional business model. A shortsighted view is that Indian software firms are currently working to cannibalise their future business. They are helping clients go digital by moving data to the cloud and integrating cloud applications to clients' IT systems. Once the migration is complete, there will presumably be nothing for these firms to do. To meet this challenge Indian software firms have been acquiring niche firms with technologies relevant for tomorrow. Infosys earlier in the year acquired Panaya, engaged in automation technology. Thereafter it has acquired Skava, a mobile e-commerce technology firm. Wipro has acquired the Danish firm Designit, which offered design advisory and design innovation services. 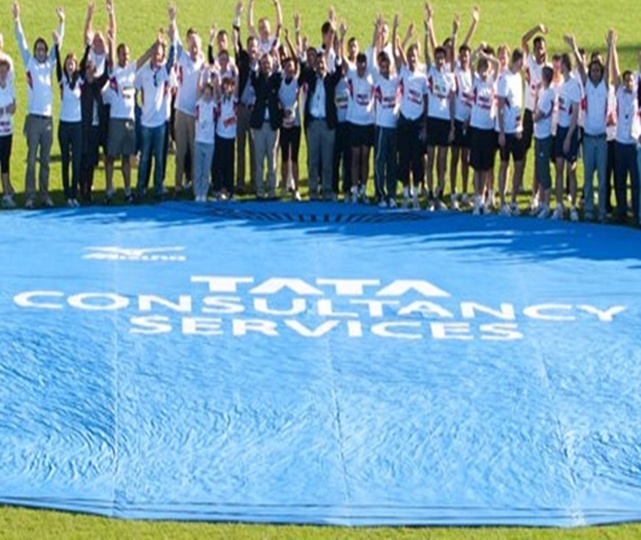 Earlier TCS acquired Alti, a firm specialising in system integration with SAP solutions. In the short term, Indian software leaders have pursued larger volumes in business, supported by higher levels of staff utilisation - thus acquiring greater market share. According to Mint and BNP Paribas, over the last five years, Accenture and the five Indian leaders (TCS, Infosys, Cognizant, Wipro and HCL) have all gained global market share while IBM and HP have lost. The Indian firms have been able to do this by going in for price discounts. Interestingly, despite this, over the last three years (2013-15) TCS, Cognizant, Infosys and Wipro have all been able to maintain their operating profit margins. Greater use of automation has enabled the firms to cut costs, improve productivity and make space for price discounts. This has enabled bottomlines to remain healthy. However, the greater use of automation means going slow on hiring (net of attrition), which, according to NASSCOM, is likely to go down by 15 per cent to around 200,000 in 2015-16 after going up by six per cent in 2014-15. While recruitment is falling, the capabilities needed to land an IT job are stiffening. Indian firms are extensively retraining their staff and those who can make the best use of it are seeing their compensation levels go up. This declining flow of new jobs is something for the Indian government to worry about. Does the Indian IT industry need trade unions?